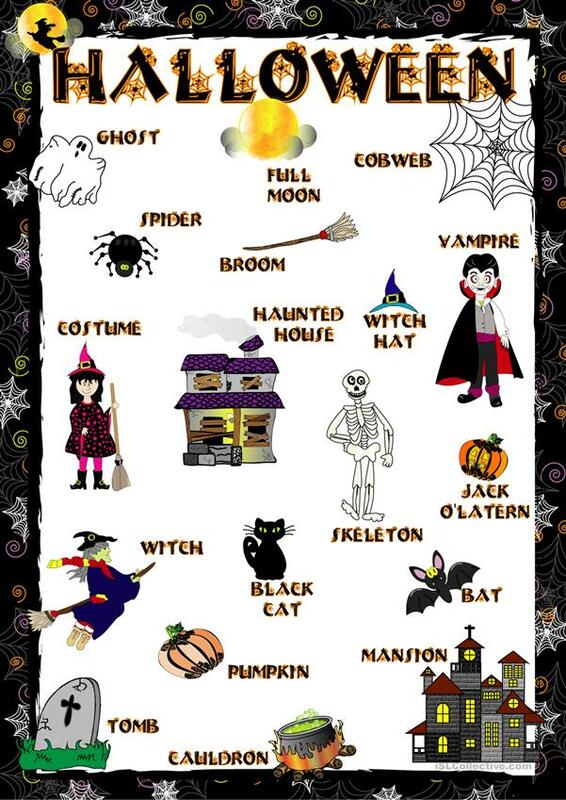 A poster for decorating the classroom in the Halloween Week! So, they can learn halloween words in a fun way! I hope you like it! Thanks. Cha. The above downloadable printable is recommended for high school students, elementary school students, kindergartners and nursery school students and students with special educational needs, learning difficulties, e.g. dyslexia at Beginner (pre-A1), Elementary (A1) and Pre-intermediate (A2) level. It is about the theme of Halloween.